Author: Alexandra (Allie) Bukowski is a program coordinator for GCI. Among other projects, she has been working on the design and implementation of GCI’s Patient Navigation Programs, which train patient navigators to help cancer patients in low- and middle-income countries (LMICs) move through fragmented health systems to access cancer care. She recently traveled to Mexico City for the launch of GCI’s first Patient Navigation Program, led by Dr. Yanin Chávarri-Guerra and Dr. Enrique Soto Perez De Celis. When I landed in Mexico City, one of the first things Dr. Enrique Soto said to me was, “It’s a dirty day today.” He added, “Smog…” after seeing the confused look on my face. Once we left the airport, I understood: the air was, well, dirty. 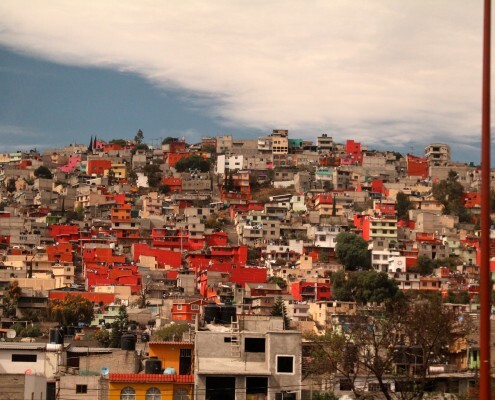 Driving from the airport that day – and in the countless taxis I took around the city that week – I began to learn more about the quirks and complexities of Mexico City. In all, a truly overwhelming experience for someone living in the quaint city of Boston who decided to take French throughout college, instead of the much more practical alternative, Spanish. Luckily, I was picked up by some of the kindest taxi drivers who were so proud of their city and would act as my personal tour guides – pointing out this landmark and that sports stadium – while taking me from Point A to Point B during my trip to launch our Patient Navigation Program there. Patient navigation is a novel intervention that is designed to “navigate” cancer patients throughout fragmented health systems – from helping with referral appointments and translation services, to assisting with insurance paperwork and linking patients to hospital and community services. Patient navigators may be professionals (e.g., social workers, nurses, health educators) or paraprofessionals (e.g., cancer survivors, community health workers, community leaders), and they essentially help patients get from Point A to Point B in complex, sprawling health systems. This is an otherwise completely overwhelming experience for most patients, especially if they cannot speak the majority language, traveled from a peripheral town, don’t have proper health insurance, or have not seen a doctor in years. Wendy, our first navigator in Mexico City, is currently working in a lower level hospital on the outskirts of Mexico City, helping cancer patients through their referral process as they make their way to various tertiary cancer care centers across the city for follow-up and treatment. The difficulty with doing this in Mexico City is the fragmented health system: certain hospitals only accept certain types of health insurance for certain types of cancer. This means that some patients will wait weeks, or even months, for an appointment at an overcrowded cancer center, only to find out that the center does not accept their insurance, or that it does accept their insurance but not for their type of cancer. This confusion and complexity – compounded by the vastness of the city and the fact that most patients arriving at this lower level hospital are part of a large underserved population – creates a truly daunting situation for someone just diagnosed with cancer. 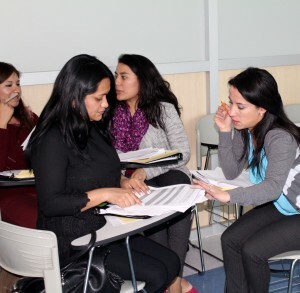 Our patient navigation training – an interactive, three-day event with our whole Mexico City team – therefore consisted not only of talks about cancer incidence and health insurance, but exercises on empathy, emotional support, and patient empowerment. Sandra San Miguel, researcher and coordinator for cancer patient navigation programs among Latino populations in the U.S., led our training and emphasized that navigation is as much about supporting and empowering scared and confused patients as it is about making appointments and filling out paperwork. Throughout our three days training with Wendy, along with two social workers and the pathologist from the lower level hospital, we did a lot of role playing, working in hypothetical patient situations, and practicing how to create personal connections and maintain cultural sensitivity. When Wendy began her first day at work, she was armed with questionnaires, forms for patient clinical data, and a binder of all the tertiary cancer centers around Mexico – along with their insurance information, cancer specializations, and locations. But she was also armed with the ability to connect with her patients and support them throughout their cancer journey. 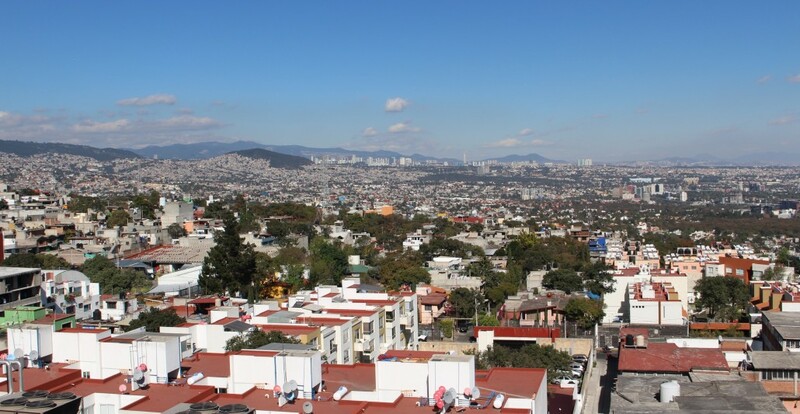 It’s just like my taxi drivers – they of course know how to operate their vehicles, are able to pick up and drop off clients, and have a very impressive knowledge of the twists and turns of Mexico City. Without them, I wouldn’t have been able to get from Point A to Point B that week. But what made me feel so comfortable, safe, and welcome in this crazy city (armed only with my few Spanish greetings and naive idea of what a “city” truly is) was the way they explained its history to me, pointed out each major landmark we passed by, gave me their best recommendations for where to go next, and truly wanted me to make the most of my time in their amazing, overwhelming hometown. So thank you to all of my personal navigators, and thank you to the corps of patient navigators who are making the cancer journey so much better for so many patients.